The saying, the devil's in the detail, was never more accurate than in Tom McCarthy’s meticulously told story of one crack team of investigative journalists and their search for the truth behind the cover up of clerical abuse in the Boston Archdiocese. 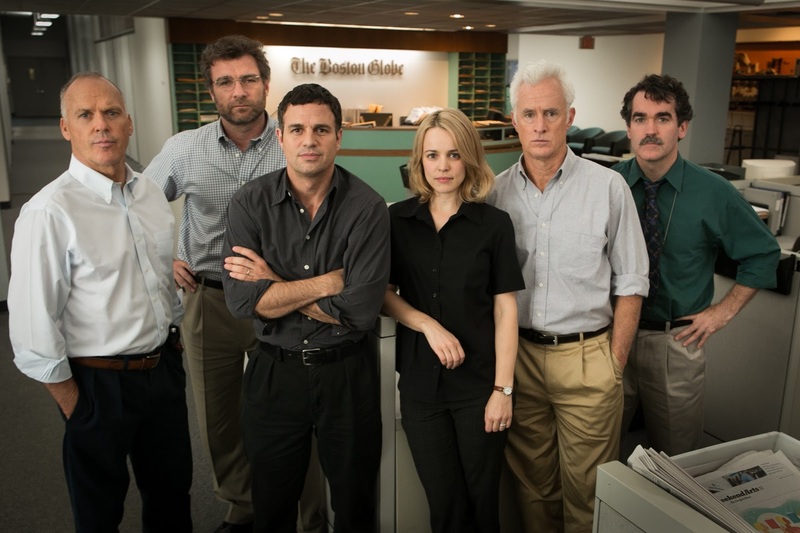 Based on the true story of the Pulitzer Prize-winning Spotlight team at The Boston Globe, the film details how, in 2001, they chased down a small number of cases that never saw a day in court and, like a pulled thread, began to unravel a massive cover-up by the Catholic Church. 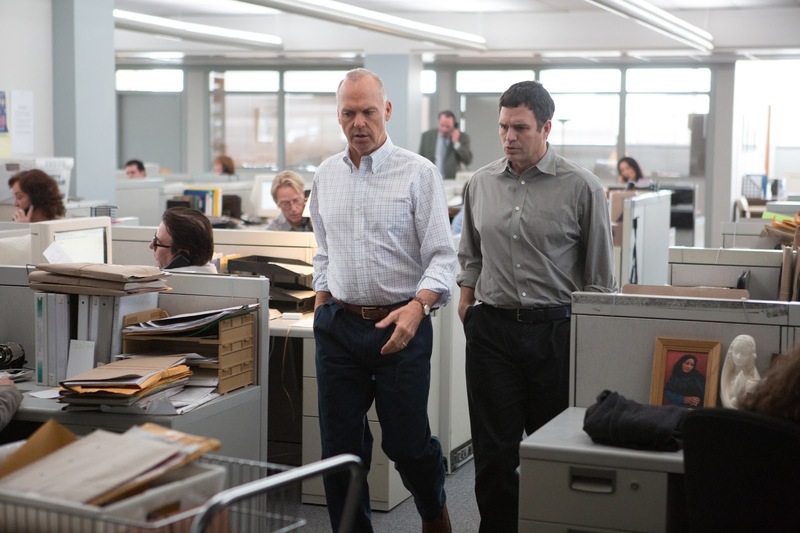 At times disturbing to watch, it is a compelling, highly engrossing story, played by a brilliant ensemble cast featuring Michael Keaton, Mark Ruffalo, Rachel McAdams and Bryan d’Arcy James as the intrepid Spotlight team, ably supported in the newsroom by Liev Schreiber and John Slattery. Calling to mind the likes of All The President’s Men, it shows how every phone call counts, every lead must be chased down, every door must be knocked on and indeed no stone left unturned. Peeling back layer upon layer of the story down to the minutiae, you can almost smell the sweat and newsprint emanating from the screen. In the age of click bait news headlines and internet supremacy, Spotlight heralds a time when print media still reigned and how investigative journalism really bore into the issues and stories of the day. The film raises the burning question of celibacy and the crisis the church faces in putting such a decree in place with some truly shocking discoveries as to the epidemic it has produced. It also highlights how such allegations made against the priesthood, these men of God, were handled as people simply didn’t want to believe it. As one police officer says, “no-one wants to cuff a priest”. Directed with a eye to letting the screenplay do the talking as opposed to the visuals, McCarthy has delivered an exceptional film, allowing his cast the room to breathe life into their characters and tell the vital story at its heart. McAdams excels as the boots on the street reporter, not afraid to seek answers, a lapsed Catholic who takes her grandmother to mass every Sunday and is fired on by the shocking abuse of trust. Ruffalo plays it with hard determination and nervy energy, while Billy Crudup is suitably oily as a lawyer acting on behalf of the church who settled claims with a “sit down with the bishop and a little dough”. The always wonderful Stanley Tucci, plays a lawyer on the victim’s side, struggling through the red tape to get the claims to court and his scenes with Ruffalo are among the best in the film. With a total of six Oscar nominations, including Best Picture, Best Director, Best Supporting acting nods for Ruffalo and McAdams, Best Screenplay and Best Film Editing, the film is sure to grab some gold at this year’s ceremony. Highly recommended.